As February turned into March, it was time to ramp my Uganda adventures up a gear. With two out of my three months done, I had to make sure I did and saw absolutely EVERYTHING I wanted to before it was time to head home. And so I did! It’s been an epic month of travelling, with short trips to Lake Mburo and Tororo, and a huge and incredible two-week tour of all the top sights of Western Uganda. As usual, I filmed snippets of my activities everywhere I went, and I’ve mashed them together with the help of the handy 1 Second Every Day app. So here it is: the 1 Second Every Day version (though on awesome days it’s more like three or four, because I simply couldn’t choose!) of what I’ve been up to during the past month. Full details of what’s in the video are below, and I’ll be writing posts about ALL the amazing things I saw and did on my big trip over the coming weeks and months, so check back soon (or even better, follow the blog and my Instagram) to find out more. But for now, you’ll have to make do with tiny glimpses. Hopefully it’ll whet your appetite for more. March 9th – another rainy day in Kampala. It’s rainy season now, so we get downpours almost every day without fail. 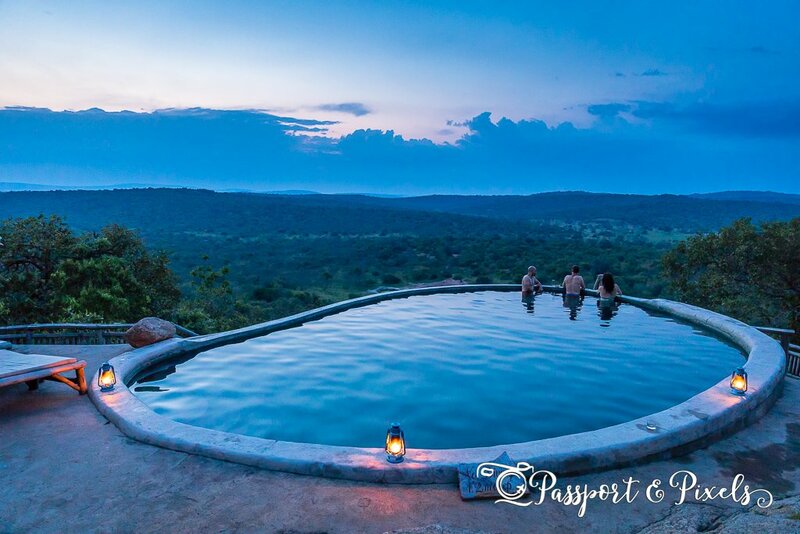 March 10th – a weekend trip to Lake Mburo with friends, where we stayed at the beautiful Mihingo Lodge. We did a horseback safari and saw zebras, and had sunset beers in the pool overlooking an amazing view of the national park. March 11th – the next morning we woke to more incredible views, I had a fantastic hot shower (the bathroom also came with a view over the park), and then we went down to the hide belonging to the lodge to see if we could spot the local resident hippo. We couldn’t. March 12th – back in Kampala, and a much-needed trip to the gym after the weekend’s indulgence. March 14th – I filmed the local street vendor making my lunch: a very typical Ugandan snack called a rolex. It’s essentially an omelette rolled up in a chapati, and it’s hot and delicious. I also spotted another guy selling fish by the side of the road; I wasn’t quite so keen to sample those! March 15th – yet more rain: it never seems to stop! 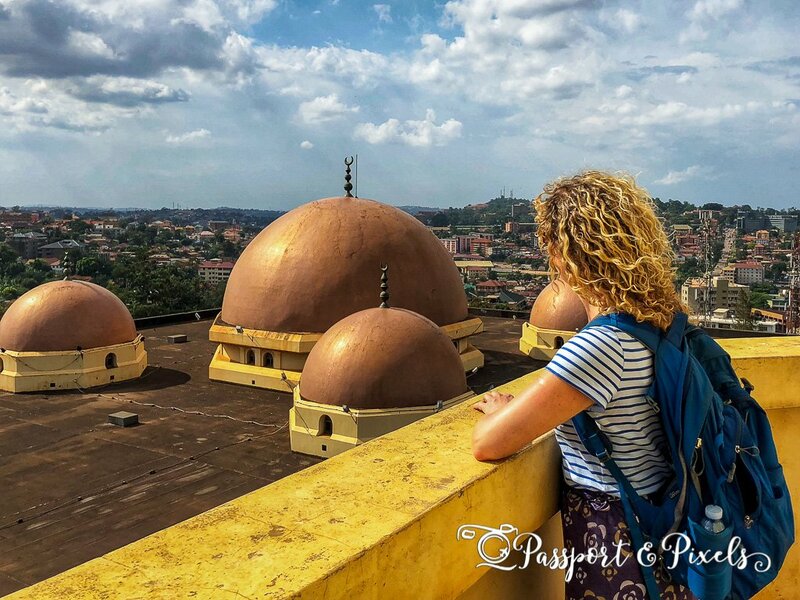 March 16th – travelling around Kampala for work. I’m volunteering for Childs i Foundation, an NGO which works to keep children out of orphanages. Today I went to photograph some of the foster carers who look after abandoned or orphaned children on a short-term basis, while more permanent homes are found for them. Then it was home and a trip to the supermarket to buy water. You can’t drink the tap water, so we buy giant water cooler bottles instead. They’re way too heavy to carry, so we had to borrow a trolley from the supermarket to wheel it home! March 17th – St Patrick’s Day! Kampala has a thriving Irish community, so I went with some friends to a St Patrick’s Day party and even tried some Irish Dancing. 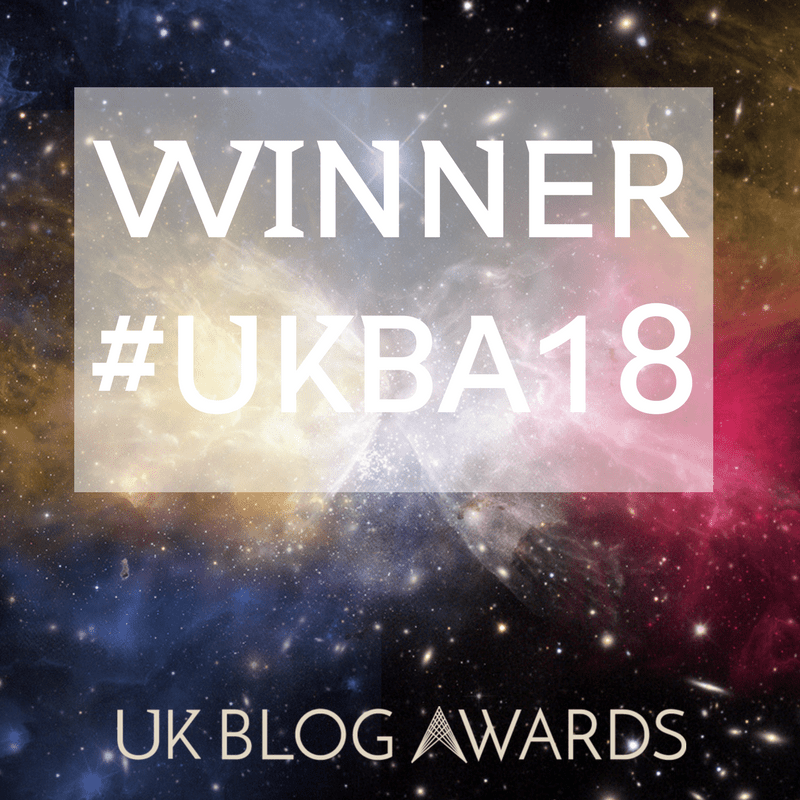 March 18th – it rained again, but it didn’t matter as I spent most of the day recovering from the night before! March 19th – I made a work trip to Tororo, where Childs i Foundation is working in partnership with Smile Africa Ministries to close their orphanage and find homes for all the children. The first afternoon I spent filming shots of the children. You can read all about this work here. March 20th – I travelled out into the district to film an interview with one of the families who has been helped by CIF and its partners, and then went back to the orphanage for more filming there. March 21st – I met the CIF social workers in their office, and then we travelled to another two villages to do more interviews with families. At the second location it started to pour with rain, sheeting water from the sky and even hailstones! There was nothing I could do but shelter inside the family’s small house and film the rain from the doorway. March 22nd – because we had been unable to finish the filming due to the weather, we went back the next day, and then it was back to the orphanage for more shots of the children, before travelling back to Kampala. March 23rd – a quiet day, so I just filmed the view from my balcony, and the view of the street near where the rolex guy has his stall. March 24th – a friend broke his ankle, so another friend and I went to visit him in hospital, and we had a delicious takeaway pizza while we waited for him to come out of surgery. March 25th – today was the start of my amazing two-week trip around Western Uganda. My lovely Norwegian travel blogger friend Linn (check her out at www.travellinn.net) arrived, and I took her on a sightseeing tour of Kampala by boda boda. We visited the National mosque, where they dressed us up appropriately with long skirts and covered heads, and we were able to climb up the minaret and check out the amazing views of the city. March 26th – next day we hit the road and drove to Ziwa Rhino Sanctuary, where we were able to get close to three different pairs of mother and baby rhinos. From there we continued to Murchison Falls, the world’s most powerful waterfall. March 27th – we took a drive through Murchison Falls National Park, and then a boat trip on the Nile, to check out some of the local wildlife. March 28th – our hotel, Murchison River Lodge, had some wildlife of its own! We then continued our journey, heading south and stopping for lunch at the gorgeous Kyaninga Lodge, with its view over the crater lake. Sadly we lost the view when the rain came in, so we got back in the car and headed for our next destination, Kibale, where the weather finally cleared and we were able to enjoy beers on the veranda of Crater Safari Lodge, overlooking another stunning crater lake. 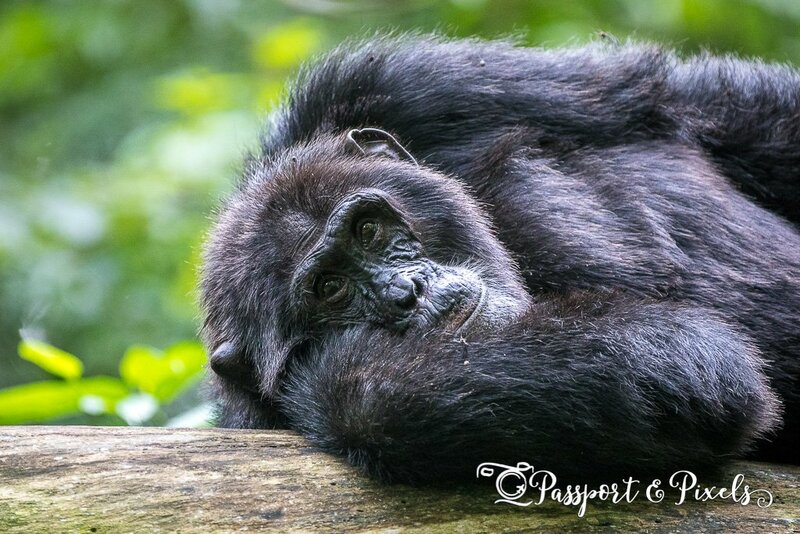 March 29th – Kibale is one of the few places where you can track chimpanzees in the wild. We were able to get up close and personal with one particularly posey adult male, as well as seeing a dozen others feeding in the trees. Here’s one of my favourite photos from that day. Then it was back to Crater Safari Lodge to enjoy the views – until it started to rain again. March 30th – the next day we travelled to Queen Elizabeth National Park, where I decided it was time to get some exercise after all the driving and went for a run. Since we were staying on the edge of the park, I wasn’t too surprised to spot some local wildlife on my way: first a baboon, and then a warthog. The latter was right by the road and there was no way to get past him; I didn’t want to risk being gored on those tusks so I had to wait for about 15 minutes until a car came past and scared him away. In the afternoon we did an amazing drive through Queen Elizabeth National Park, stopping to enjoy the stunning scenery (more volcanic craters) as well as getting heart-stoppingly close to a large number of elephants. March 31st – by chance I ran into a friend from university and his girlfriend, so they joined us for another game drive in the park. We drove to a spot where there were rumoured to be lions, and I was surprised to see everyone else getting out of their cars, which didn’t strike me as very clever if there were lions about! We had lunch overlooking the Kazinga Channel, accompanied by some hungry Marabou storks, which are like London’s pigeons except considerably bigger and scarier. 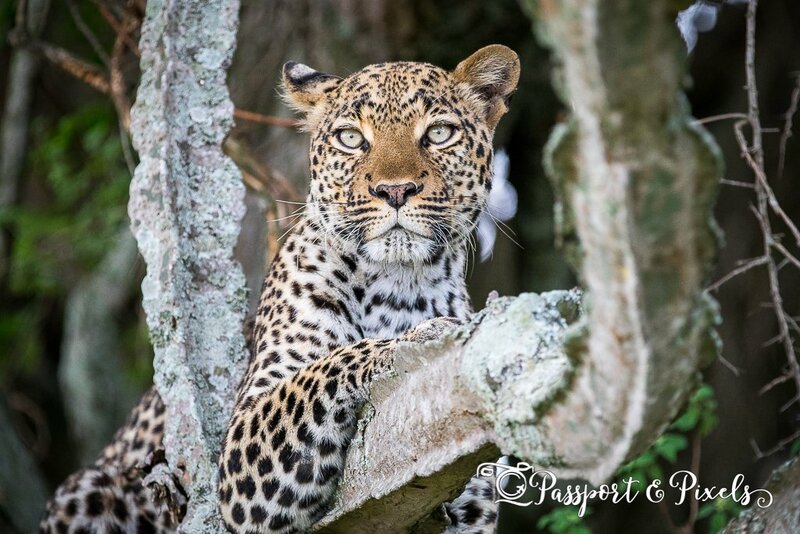 In the afternoon we did a boat trip on the channel where we saw loads more wildlife including buffaloes and elephants, and then on the way back through the park we were extraordinarily lucky and managed to spot this incredible leopard sitting in a tree. April 1st – we drove south through Ishasha, famed for tree-climbing lions (we saw one male) and on to Lake Bunyonyi though gorgeous landscapes of rolling hills and patchwork farms. We arrived at our accommodation where it started to rain again, and I was able to film a swarm of lake flies attracted to the lights in the restaurant. April 2nd – the next day we went for a boat ride on the lake, and then later for a swim in it. April 3rd – back on the road again, with more stunning landscapes, until we reached the border with Rwanda. We crossed over, and drove through yet more rain (in a car with a permanently foggy windscreen) until we got to Gisenyi, on the border with Democratic Republic of Congo. Our lodge for the night featured cute safari tents under hobbit-style thatched roofs, all set in beautiful flower-filled gardens. 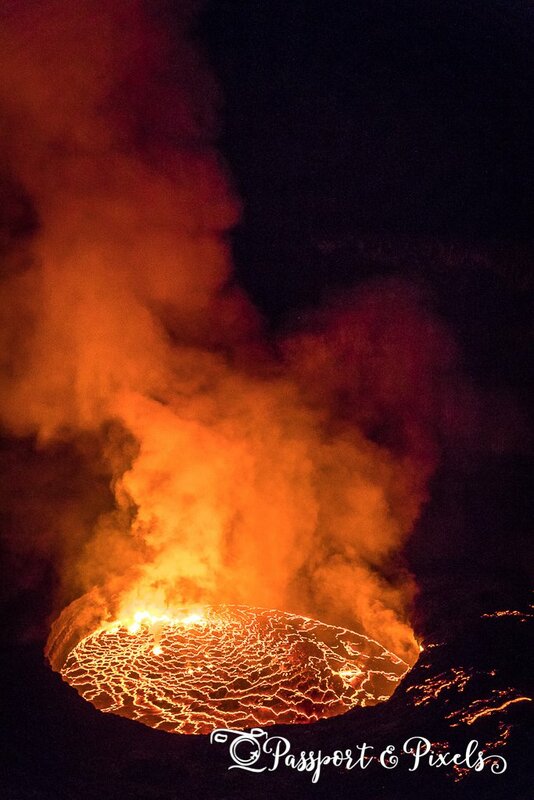 April 4th – we crossed into DRC and travelled to the start of the hike that would take us to the top of Nyiragongo, Africa’s most active volcano. We hiked to the top (it took six hours), where we spent the night taking in the astounding view of the volcano’s enormous lava lake. It was honestly one of the most incredible things I have ever seen and I can’t wait to tell you all about it in more detail. April 5th – the next day we descended the volcano and crossed back through Rwanda and back into Uganda. 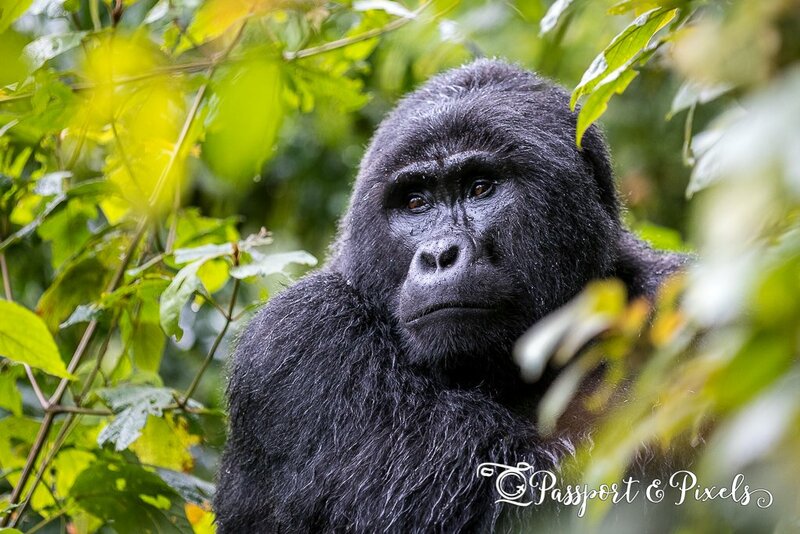 April 6th – gorilla tracking day! This is one of the highlights of any trip to Uganda, and it was worth trudging through the mud and pouring rain for the chance to spend an hour with the majestic and rare mountain gorillas. After accepting our certificates to prove we had done it, we then went to spend some time with the local Batwa tribespeople, where they performed a dance and showed us how to make fire. April 7th – with the trip nearly at an end we headed back towards Kampala, crossing the equator. I never knew if it was true or not that water goes down a plughole in different directions depending on which hemisphere you are in, but a very simple demonstration proves that it is! April 8th – we spent the last day of the trip in Entebbe, and took a visit to the Uganda Wildlife Education Centre, where we did the Behind the Scenes Tour and were able to stroke a cheetah that had been hand-raised from birth, and feed a giraffe. This was my second visit to UWEC; you can read all about the first trip here. At the end of the day I waved goodbye to Linn, and headed back to Kampala. And that’s the end of Month Three! If you enjoyed this video and would like to see more, you can check out Month One here and Month Two here. And please do come back soon for full posts on all of the amazing adventures we had on our big trip.